Knowing how to balance flavor and spice can transform a dish. But whether you're looking to liven up what's already in the refrigerator or trying something new, figuring out just the right blend of spices to use can be intimidating. Cooking with Spices is a comprehensive reference cookbook that explains the regional origins of spices from around the world and gives you easy-to-follow recipes for rubs, pastes, sauces, and blends. Cooking with Spices serves up recipes with a pinch of history to give your taste buds something to talk about. 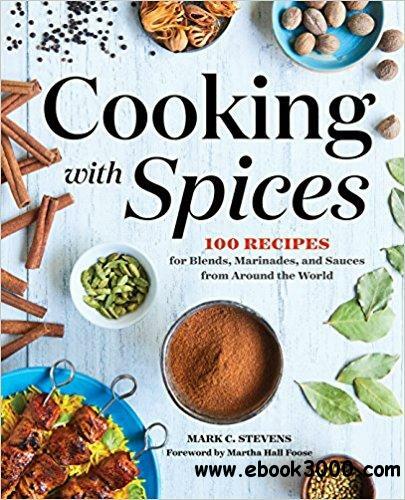 Recipes in Cooking with Spices include: Chinese Five-Spice Blend, South Pacific Honey Paste, Backcountry Chimichurri Sauce, Harissa Rub, Sicilian Saffron Sauce, and many more! Set salt and pepper aside and throw some variety into the mix with the savory flavors from Cooking with Spices.